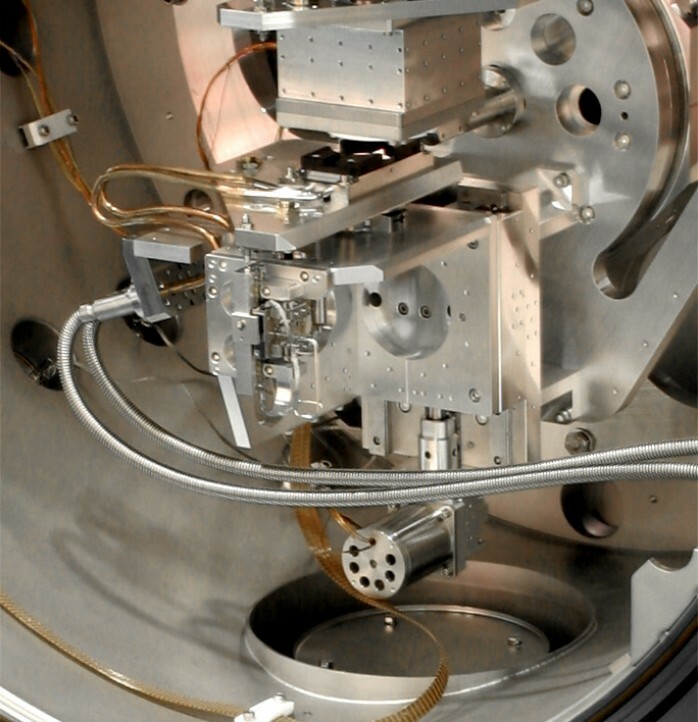 The function of the Double Crystal Monochromator (DCM) is to select and transmit X–ray radiation of the desired photon energy from an incident white synchrotron radiation beam. 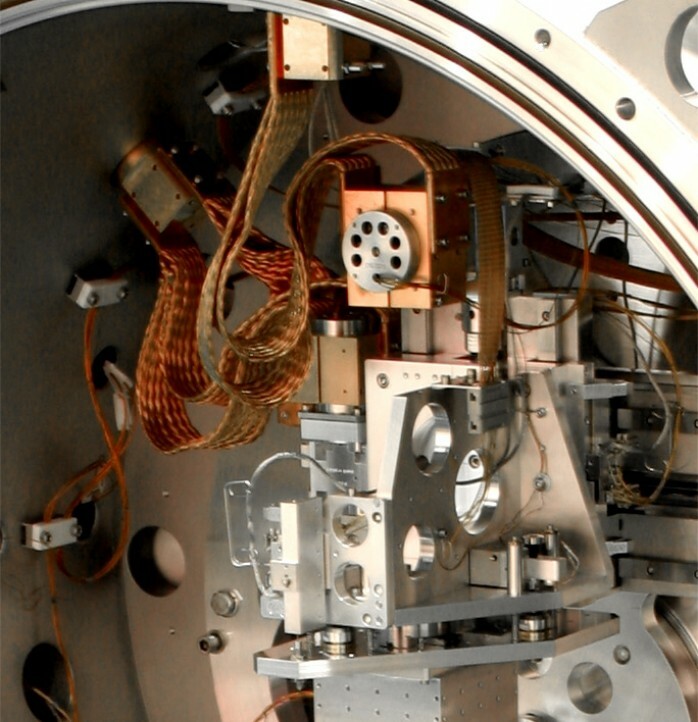 The DCM uses two parallel crystals in (+, –) configuration to produce a monochromatic exit beam which is running parallel to the incident white X–ray beam. Depending on the type of crystal by use of several crystals the energy of the monochromatic beam will be continuously selectable from 3 keV to 25 keV. The energy will be selected by rotating both the crystals and varying the Bragg angle whilst keeping the crystals parallel to one another. The beam offset, i.e. the distance between the optical axes of the incident beam and the exit beam, does not change during the energy scan. This is realised by a common rotation of both crystals and two translational motions of the second crystal, a parallel and a perpendicular motion with respect to the surface of the first crystal. 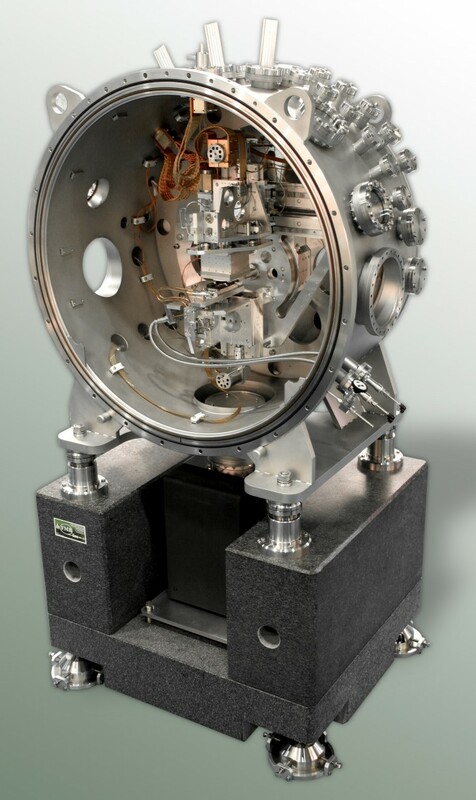 The DCM will be high–vacuum compatible with first crystal indirectly water–cooled in order to dissipate the photon energy that is absorbed. As option LN2 cooling is possible. 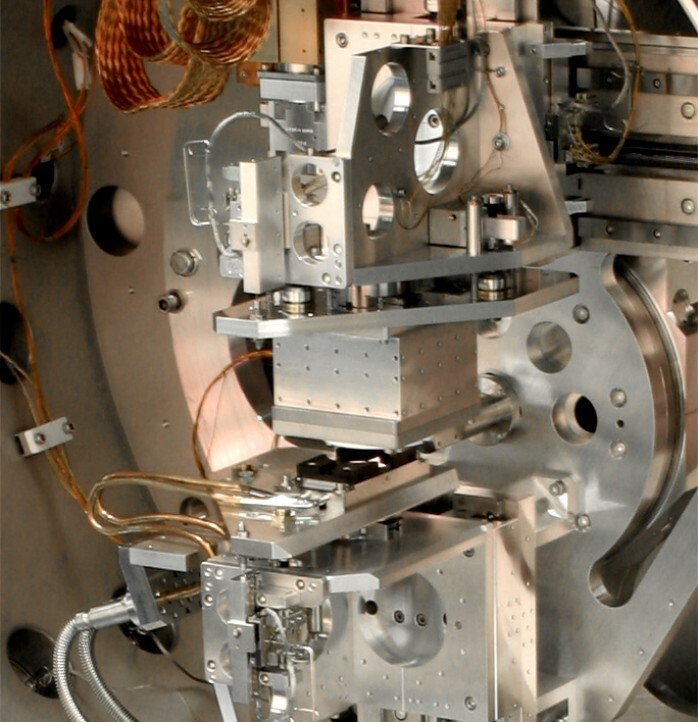 To achieve sagittal focusing, the second crystal can be dynamically bent by in–situ mechanical bending (ESRF licence). FMB delivers crystal holders for up to three crystals. The DCM is designed for a beam offset in the range of 25 to 35 mm and in order to reach the specified energy range. the Bragg angular range must be from 0 to more than 50 degrees. The Bragg angle can, however, be set up to –5° for alignment purposes. In the 0° position the first crystal can be removed out of the rotation axis to let the direct light beam go through.